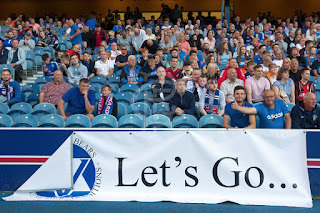 So finally Rangers fans yesterday got to sample their first true taste of the Steven Gerrard era at Ibrox, as English League Two side Bury came to town for a pre-season friendly. 1: The formation question may just have an answer – while it was fluid, it appeared to be a pseudo 4-1-4-1 which was an interesting solution Gerrard has gone with. Back four, McCrorie sat in front, with a bank of Murphy, Candeias, Windass and Arfield ahead of him, supporting Morelos, with Candeias and Windass taking turns to be slightly more central supporting the Colombian. It’s a very interesting approach and we applaud the attempt at doing something a little different. 2: While it was Bury, and all due respect to them not Messi and Ronaldo, there was a real level of authority at the back – Connor Goldson and Nikola Katic were very interesting to watch. Goldson was the subtle one, composed on the ball, organising the troops and always watching and reading the game ahead of him, while Katic was the more physical unit, attacking every ball, blocking and willing to put his body into hurt – we already knew Goldson would be the more ‘modest’ while Katic would be the powerhouse, but it was fascinating watching it in action and early signs, while premature, are nevertheless encouraging. 3: Jon Flanagan was extremely intelligent with the ball and his own movement. He had excellent vision and could pick left flank runs out while seeing space, and while he didn’t attack overly enthusiastically, he appeared to know when was good to advance more and when to recede. He read his position like a really top class fullback and we must admit Declan John lacks that in his game. Selection dilemma to say the least. 4: James Tavernier is not everyone’s choice as captain – this is a call which Steven Gerrard has made and a recent poll on site did not endorse him being given the gig permanently. But we respect our manager’s decision – we think he has done it because he feels continuity is key and the fans like Tav – well we sure don’t hate him, but a Rangers captain we have doubts he is. Still, the decision is made and we’ve got to go with it and it also confirms he is 100% staying in this team unless a massive unrefusable bid arrives. 5: Alfredo Morelos remains staggeringly wasteful and all pre-season has done is taken some beef off his frame. We continue to be frustrated by the negative sides of his game which we’d hoped would be trimmed away by a manager like Gerrard, but if anything they were even worse. We can see this, if he remains a Rangers player (reports from various press outlets claim a bid of £2.6M was rejected), becoming a recurring theme. 6: Andy Halliday appears certain to play a serious role next season, much to the chagrin of a great number of fans. Heavily involved yesterday, he’s been at the forefront of pre-season and the more it continues the more he appears to be part of the new era. And the more a lot of fans are going to start scapegoating him. 7: Glenn Middleton was an outstanding substitute – the Matt Damon lookalike was rampant on the right and managed two assists during his cameo – sure, he’ll get tougher tests than Bury (again, all due respect to them) but on this showing it was an exemplary start to life in senior football for the former Norwich winger and showed why Canaries’ fans were devastated to lose him. We may well see a great deal more of him in the first team now. 8: Scott Arfield very much reminded us of a slightly more advanced version of a younger Stuart McCall. Wore his heart on his sleeve, mobile, hard working, but with a touch of technical quality the wee man probably didn’t have, Arfield is a truly marquee signing and was well-deserved MOTM. 9: Wes Foderingham is definitely finished at Ibrox. Not involved in this match at all, the ex-Swindon goalie hasn’t played serious action now since Jak Alnwick took his place last season on the 22nd of April. He hasn’t played a single minute since then and it’s a case of finding a buyer. 10: Robbie McCrorie might be the surprise choice as deputy to Allan McGregor rather than Jak Alnwick – the ex Port Vale man started v TNS but McCrorie replaced him, and yesterday Ross’ brother was the man on the bench rather than Alnwick. We’ll see who’s on the bench come Thursday. There was a lot to chew through – what things did you good folk notice? Didn't know what to expect with Bury last night, dreaded a tough 1-0 victory that would've sapped our optimism however it turned out to be a terrific confidence match that will see the players, staff and fans craving more. Really do hope Gerrard plays youth especially Middleton, Rudden and Wilson throughout the season. Surely there is better youth options than Halliday?! Kelly, Barjonas (on loan Partick), Burt? Very emcouraged to see the young guys get a chance. Especially Mc Rory brothers. Fantastic. Bury were awful, but last years version of our club would have possibly scraped a win and certainly conceded a goal. So from that point of view good to see. Morelis again missed easy chances, took shots when no shot was on and continually goes to back post when a cross comes in instead of making a run to the near post where last night he could have got in. So for me he continues to frustrate. Rudden looked a confident lad with a bit of big Dunc about him. Middleton looked good for me and made some great runs which weren’t picked out, however got past defenders with ease and got some good balls in. Defence looks so much better. stronger and more organised. Bodes well I hope. Arfield looked quality and up for it. Windass still disappears and is a man down a lot of the time. SH needs to keep on his case ie. we win the ball all over the park! Middleton was on the left not the right but he looked excellent. MOTM for me was not Arfield but Katic. Not sure what you saw but I saw Katic as way ahead of Goldson. He won tackles, headers, brought the ball out of defence, looked absolutely comfortable on the ball. I think he is going to be a star. I also thought Candeias was terrific and set Windass up time after time with chances, which were mainly wasted. Young Rudden will be in the team before the season is out too - he scored a great poachers goal within 5 minutes of coming on and then nearly repeated an identical move a few minutes later. Both supplied by Middleton I think. Okay the opposition were very poor but there were so many positives to take out of this. A few negatives. Tavernier posted missing at full back again on occasions. Better teams will punish that. Morelos needs to start hitting the net more. Hodson and (to a lesser extent) Halliday - why??? Stephen Kelly was the only player out of 23 who didn't get on. Surely he could have got a game instead of of of those two dummies. All in all a great night. Massive crowd under the circumstances (Brazil v Belgium on tv) and a cracking atmosphere. Roll on next Thursday! Tav wouldn’t have been my choice as Captain but that’s the Gaffers call and should be backed to the hilt. Early days but a great start for all involved, nice to hear the Gaffer say there’s still much to be done and was ok with the result. Obv he strives for improvement all the time on and off the pitch..
Great to see the young lads being utilised and adding competition too the squad. 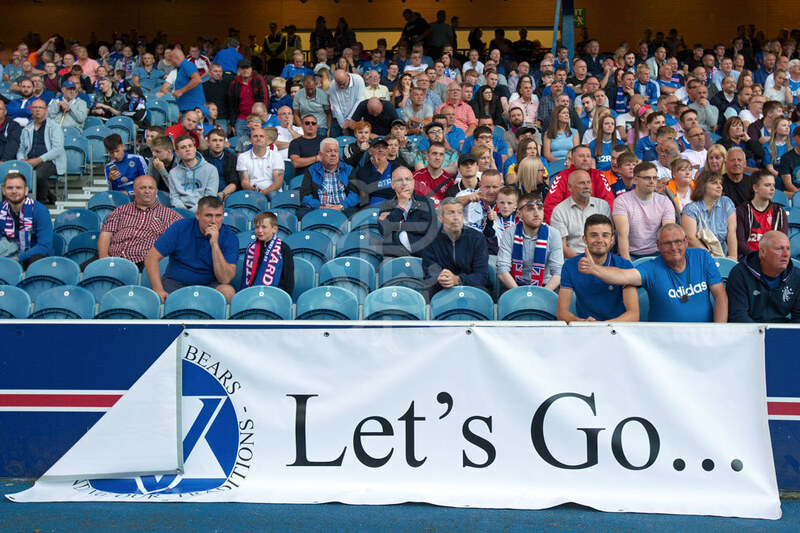 Middleton and Brunt starting well when they come on and giving the Gaffer problems..
Talk is a fine thing , and , as usual, Ibrox Noise has come forward with some salient points on the opening fixture. It is all purely assimilation at this stage, of course. If we come away with nine points from Pittodrie, Fir Park and Celtic Park, I will begin to believe. I’m still hopeful of that marquee signing and it should probably be a forward, as we are a bit thin on the bones up front. I’m enthused by the pre season and everything SG has brought to our club. We now resemble a Rangers team/ club that we know we are and always were pre 2013.